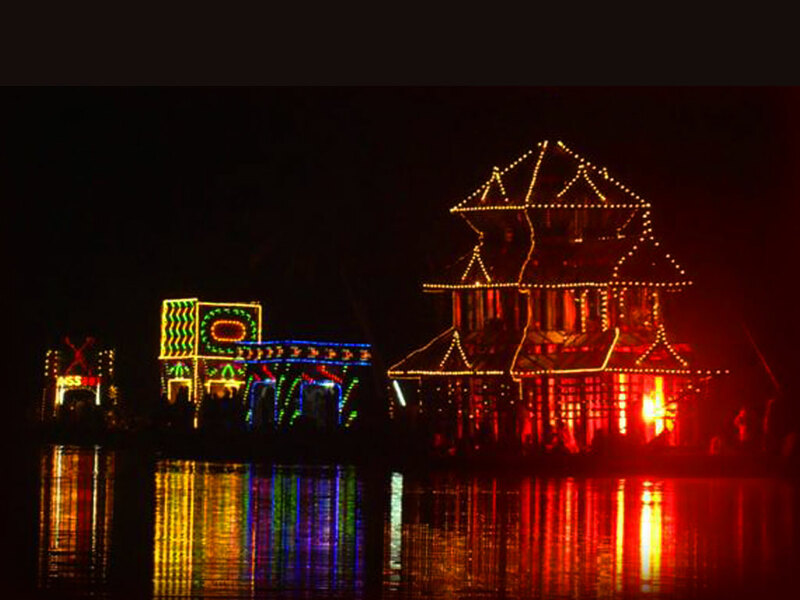 The Elamkavu Bhagavathy Temple, located at Vadayar in Kottayam, is noted for the Attuvela Mahotsavam, a water carnival. Dedicated to Goddess Bhagavathy, it is believed that Elamkavu Bhagavathy is the sister of Kodungalloor Bhagavathy. According to legend, the festival is a welcome ceremony for the Goddess of Kodungalloor, who comes to visit her sister, the Goddess of Elamkavu. 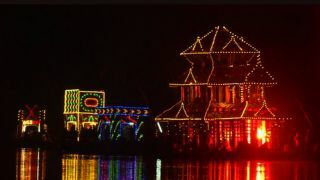 During the two-day Attuvela, beautifully illuminated canoes, carrying a huge replica of the temple, sail down the waters accompanied by hordes of colourfully decorated small canoes and temple percussion music. The procession of canoes starts from the Attuvela Kadavu, 2 km away from the temple. This grand water festival celebrated for two days, starts on Aswathy asterism in the Malayalam month of Meenam (March - April) and ends on Bharani asterism.